Motorola Moto Z3 is Official with Snapdragon 835, Full Screen Design and 5G Moto Mod - Playfuldroid! Motorola has launched Moto Z3 smartphone through its unveil event that was held yesterday in Chicago. Compared to the last year’s Moto Z2, the new Z3 sports a trendy 18:9 aspect ratio display design like the Moto Z3 Play smartphone. The company has made it future ready by introducing a 5G Moto Mod alongside it. Moto Z3 features a splash-resistant aluminum body with Moto Mods pogo-pin connector on its rear. The smartphone features a 6-inch AMOLED display that produces Full HD+ resolution of 2160 x 1080 pixels. The Snapdragon 835 chipset and 4 GB of RAM is present under the hood of the Moto Z3. It has a native storage of 64 GB. It includes a 3,000mAh battery. For photography, it features a pair of 12-megapixel rear camera and a front-facing camera of 8-megapixel. It is preinstalled with Android 8.1 Oreo OS. Just like Z3 Play, the Moto Z3 features a side-mounted fingerprint reader. To make it future-ready, the Moto Z3 includes Snapdragon X50 LTE modem. 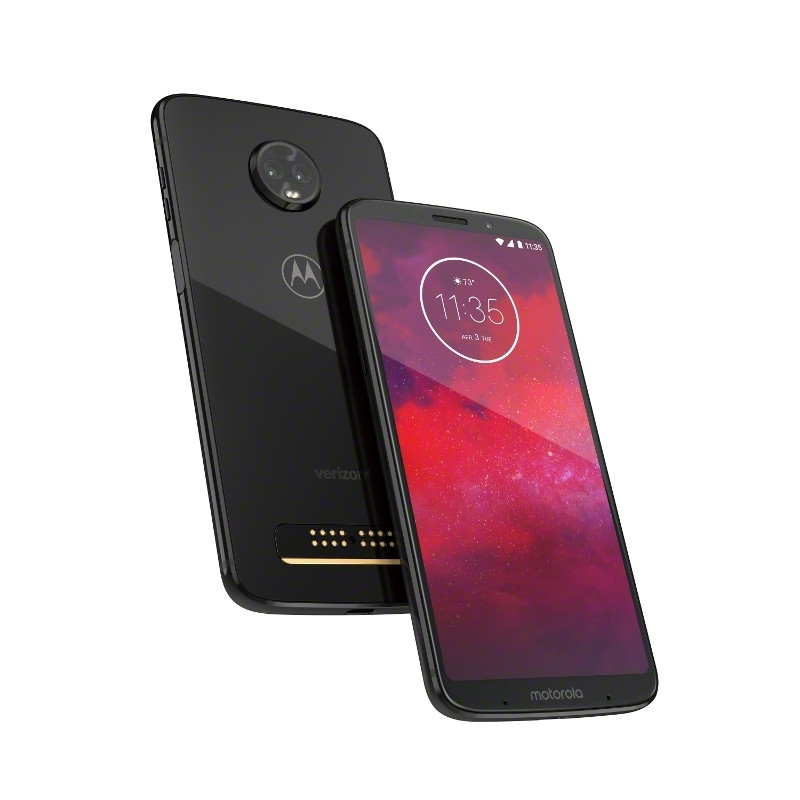 In the U.S., the Motorola Moto Z3 will be exclusively available through Verizon Wireless. Its sales will begin from Aug. 16. The handset caries a price tag of $480. The 5G Moto Mod which also includes 2,000mAh battery power will be available for buying from the coming year.